Posted by Jon in WW Philly 2012 with 0 comments. Being on the east coast, we don’t get the glitz and glamor conventions like the west does. In general the ones to look forward to here are the Philadelphia in June, Baltimore in August, and New York in October. There are a ton of little vendor shows as well all year long which can be nice if you want to blow a little cash and see some geeky b-movie celebs. But if you really want to see the people going all out, dressing up and just making a spectacle you need to rely on the big three here on the east coast. But I hate to complain about what they have and we don’t. Instead lets enjoy, or at least analyze what we have over here. It has been almost four to five years since I have been to a Wizard World show so I apologize if I sound like an old guy pining for the good old days. The big draw these days looks to be in the celebrity pictures and autograph opportunities. 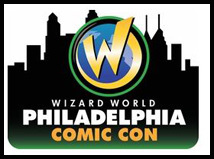 Wizard World Philadelphia sports a massive list of attending celebrities from all walks of entertainment. We have the usual’s like the Star Wars veterans: Jeremy Bulloch (Boba Fett) and Peter Mayhew (Chewbacca). They were very proud to host five different Star Trek Captains in the same show: Sir Patrick Stewart (I never knew he was a Sir … the English must love TNG more than the original series), William Shatner, Avery Brooks, Kate Mulgrew, and Scott Bakula. A very nice section was setup with the Captains all side by side to sign stuff and take pictures. Bruce Campbell was attending which is cool, but Bruce does these a lot anyway and everyone loves to get trashed by him. But they also have the gals from the Evil Dead movies, so nice bonus there as well. The big headliner was Chris Hemsworth who of course plays Thor and was also in my favorite movie of the summer thus far Cabin in the Woods. What comic show wouldn’t be complete without Stan Lee? Or James Marsters? There is a gaggle of WWE and ex wrestling stars. Needless to say, Wizard made an impressive roster of stars to come to the show. But there was one glaring omission from the list and I can say from being on the floor all day today: Virgil was missing. How could there be a comic convention without the empty Virgil booth? Ted DiBiase was even there holding up championship belts for everyone to take pictures. You would think the Virgil booth would be right next to him collecting dust, but no Shannon Elizabeth of American Pie and American Pie fame was there. Did Virgil finally realize no one wanted to see him? Or that he scared people away with his abrasive demeanor? Whatever the reason it is actually kind of sad to me. It’s like one of those jokes you and your friends make about someone for years and then one day it just turns sad. I hope maybe he just wasn’t part of the Friday crowd and shows up tomorrow because a comic show is not complete without “Wrestling Superstar” Virgil.